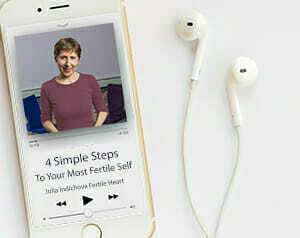 For those of us who have travelled the scenic road to parenting, even the first trimester nausea, as uncomfortable as it may feel, is a cause for gratitude. I remember walking around feeling pretty lousy, repeating, Thank you, thank you, thank you! What also helped was remembering to take delicious care of myself, take naps when I could; remind myself that my wise and wonderful body was simply making sure the baby has a safe, clean uncluttered first nursery. And it helped to have some umeboshi plums on hand, my favorite first-response nausea remedy. I’ve added a couple of other nausea cures to my list over the years. As with everything else, it might take a bit of experimentation to find what works for you. It’s also crucial that you pay careful attention to your body’s response to all of these medicinal foods. If you have found a natural nausea cure that was particularly helpful, please share it with the rest of us. 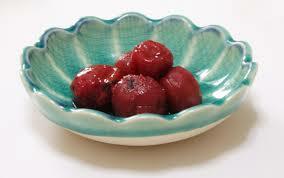 Umeboshi Plums – are salty, pickled plums touted in the macrobiotic literature as having strong medicinal value. They’re said to be blood cleansing, appetite stimulating and they’re popular nausea remedies. You should be able to find them in any health food store. You can nibble on the meat of the plum or sometimes just a lick is enough to soothe your stomach. Kuzu – is another medicinal food from the macrobiotic world used for digestive disorders including nausea. It’s a starch made from the wild kudzu plant. You will find it powder form in your health food store. Kuzu can be used in several different ways. You can dissolve it in apple juice and turn it into a delicious dessert like treat or mix it in a drink with soy sauce and ginger for a salty nausea remedy. Kuzu wth Apple Juice Dissolve 2 tbsp of Kuzu in 1 cup of water, cook on low heat until thickened, stirring all the time. You can add 1 tsp of vanilla or a swirl of sesame seed paste aka tahini to sweeten it. I also found apricot juice to be helpful with nausea, so you kuzu with apricot juice might also do the trick. Kuzu-Tamari-Ginger Drink: Simmer one-quarter inch of ginger root in two cups of water for ten minutes. Dissolve one-half tsp of kuzu in one tbsp of cold water and add to the mixture. Add tamari to taste. The drink is ready when the kuzu has become transparent. Another variation is to add a piece of mashed umeboshi plum to the mixture. Ginger – I don’t think ginger needs introduction for anyone. Ginger is a warming, cleansing food, that supports the cardiovascular system. With some women, ginger can cause diarrhea and that’s not something you want to promote at any time during pregnancy. So it’s important to pay attention to how your body responds with this as well as all remedies. You can grate fresh ginger and simmer for 10 minutes into a soothing drink, or buy some organic ginger-ale free of synthetic sugars. Sources: Healing with Whole Foods: Oriental Traditions and Modern Nutrition: Paul Pitchford; The Encyclopedia of Healing Food by Michael Murray, N.D. and Joseph Pizzorno N.D. and conversations with macrobiotic and other natural healers over the years.